Подсолнечник - плодородие, здоровье, средство от бесплодия, защита от злых сил. Использование в магии. Sunflower - fertility, health, a remedy for infertility, protection from evil forces. Use in magic. Защита от злых сил: Как ни странно, но семена подсолнечника и подсолнечное масло несут в себе защиту от энергетических вампиров, злых людей и сил. Немного сырых семечек рассыпьте у порога дома и человеку со злыми намерениями будет трудно войти к вам, но даже когда он и войдет, то не сможет пронести к вам зло и порчу. Когда вам нужно посетить место с "дурными" агрессивными людьми и энергетическими вампирами слегка намажьте подсолнечным маслом виски, переносицу, центр лба, на руках ложбинку под большим пальцем. Sunflower - fertility, health, a remedy for infertility, protection from evil forces. Magical use: sunflower planted in the garden, brings strength, protection and blessing of the Sun. We are attracting pregnancy: the seeds are usually eaten by women who want to become pregnant. This should be done at a time when the moon is arriving. 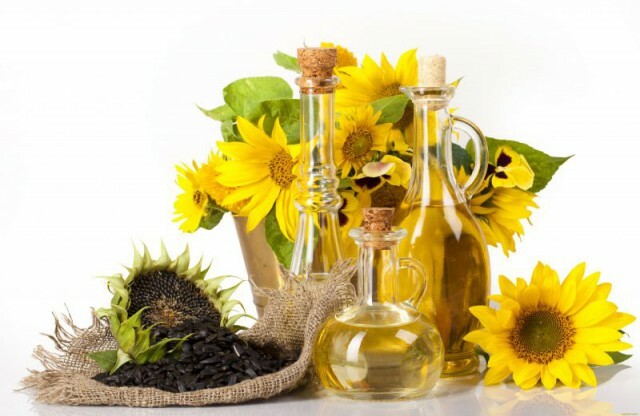 Protection from evil forces: Strangely enough, but sunflower seeds and sunflower oil carry protection from energy vampires, evil people and forces. A few raw seeds scatter at the doorstep of the house and a man with evil intentions will find it difficult to come to you, but even when he enters, he will not be able to carry to you evil and spoilage. When you need to visit a place with "bad" aggressive people and energy vampires, lightly apply sunflower oil of whiskey, nose bridge, center of forehead, in the hands of a hollow under the thumb. The man always felt that he was well, probably because the mistresses very much like to decorate the kitchen panels and pictures with sunflower, the same sunflower flowers look harmoniously on tablecloths, towels and kitchen curtains. Sunflower brings us the feeling of a summer sunny day, joy and energy, drives the depression. Sunflower is a magical symbol of the Sun, therefore it is often dedicated to the solar gods and symbolizes longevity. Baths with sunflower petals attract wealth, and smoke from smoking manifests in a person's ability to clairvoyance. For prophetic dreams, a sunflower is placed under a pillow and sleeps on it. Wards from evil spirits and evil spirits: seeds and flowers of sunflower are dried and sewn in linen bags, amulets are hung in the hallway, above the bed and in the kitchen. In the Slavic traditions, images of sunflowers are found on Easter colored eggs, it symbolizes motherhood, life and love of God. In amulets for a house in the form of a broom, sunflower seeds mean children. A guard for the home and those living in it: if you plant sunflowers under the windows, the number of small, annoying troubles will drastically decline.